Since 2006, Washington has classified Venezuela as a nation “not fully collaborating with the war against terror”. In 2005, Venezuela was labeled by the State Department as a nation “not cooperating with counter-narcotics operations”. Despite no substantive evidence to prove such dangerous accusations, the US has utilized these classifications to justify an increase in aggression towards the Venezuelan government. In 2008, the Bush Administration attempted to place Venezuela on the list of State Sponsors of terrorism. The initiative was unsuccessful primarily because Venezuela is still a principal supplier of oil to the US. 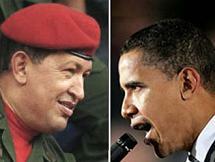 Should Washington consider Venezuela a terrorist state, all relations would be cut off, including oil supply.